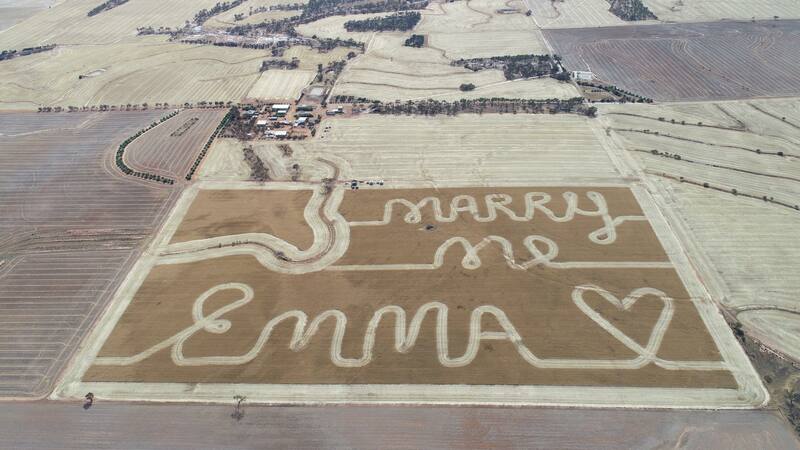 A farmer in Australia has set a high bar for wedding proposals ahead of Valentine’s Day by asking the big question in 230 foot high letters carved into a field of wheat. 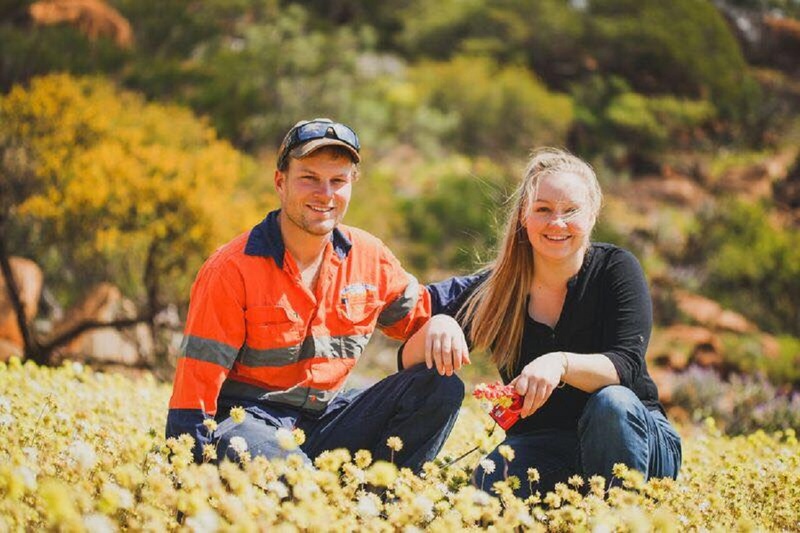 Brendan Boyd, a 24-year-old from Babakin in Western Australia, asked his girlfriend of three years to marry him in a message taking up most of a field more than 984252 feet square—big enough to be seen from space. “I can’t remember exactly how but I have had the idea for a couple of years and I think I just came up with it on a tractor one night,” he told the Press Association. His girlfriend, 26-year-old Emma Starcevich, lives a five-hour drive away in the coastal city of Esperance, so Brendan planned the gesture for a weekend when she was visiting. He used a harvester to carve the message into the crop on a Friday afternoon, knowing Emma would be arriving later that evening. They harvested the rest of the field together that evening, to make sure none of the crop went to waste. The episode happened in December, Brendan said, but he only put the pictures online to show the world in the last week.